Relay For Life is a community based fundraising event to raise funds and awareness to save lives from cancer by patients and supporters walking overnight. We can share courage and hope at this RFL. 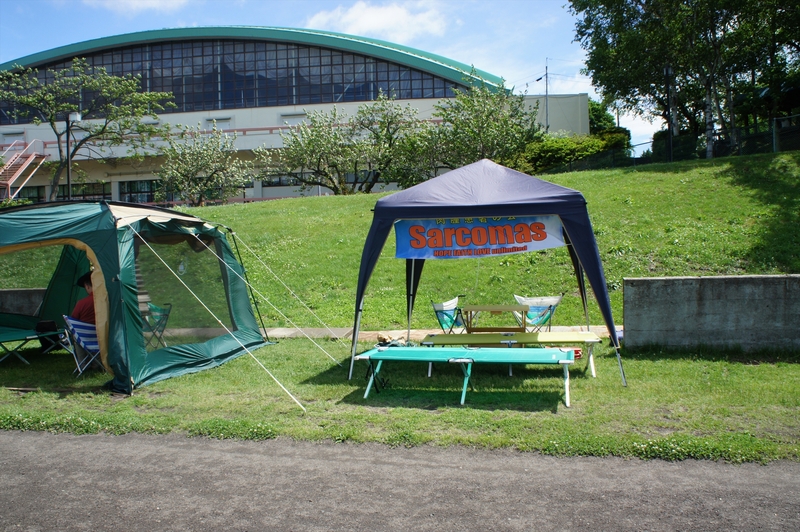 NPO Cure Sarcoma will participate in this event in Hachinohe as a team from noon June 13 (Sat) to noon June 14 (Sun). We will be in a relay walk. Also we would like to use our team tent as a place for communication among sarcoma patients and families. 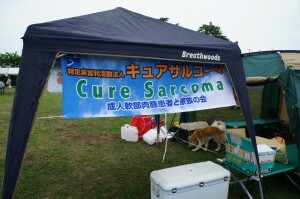 Please find our new Cure Sarcoma banner and join us in RFL. *Pictures below are from RFL last year. 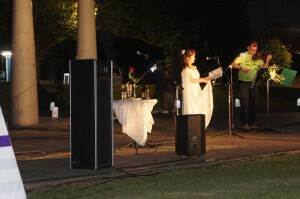 This entry was posted in News, Topics on 2015/05/30 by . NPO Cure Sarcoma participated in Relay For Life Japan 2015 Ibaraki (RFL Ibaraki) as a team on May 16 and 17. RFL Ibaraki was the first place to hold RFL in Japan. It was held in “Research and Science City” Tsukuba and had a very young and refreshing atmosphere because many students attended from the neighborhood. We had slight rain on the first day, but the weather held up for two days. From the preparation at noon on Saturday to the end of the event at noon on Sunday, we participated in relay walking and enjoyed communication with the members in the tent under the new Cure Sarcoma banner. We had about 30 participants including new faces and the members from Kansai area. Thank you very much for coming all the way. 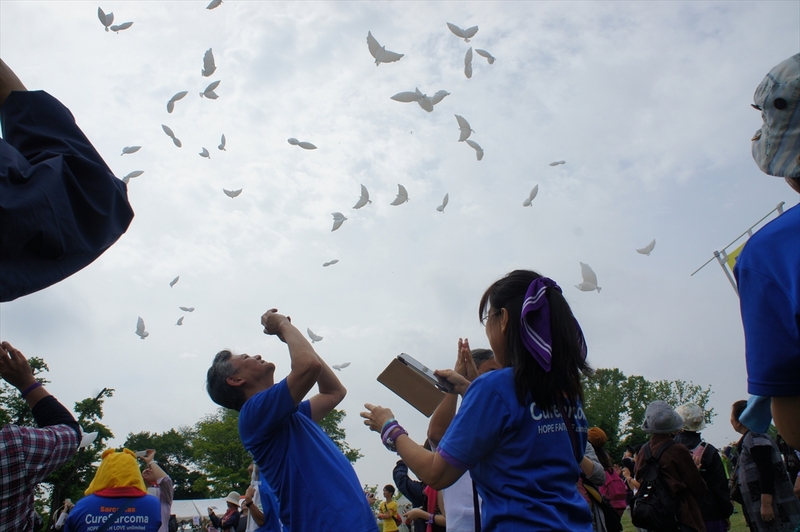 Let us meet again and enjoy talking in other 2015 RFL events and the next 2016 RFL Ibaraki. 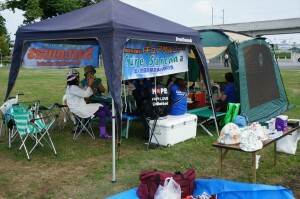 We also held the second regular general meeting of NPO Cure Sarcoma on the first day of RFL Ibaraki. We will report the approved 2015 activity plans and so forth on this homepage later. Mail notices have been sent to NPO members. 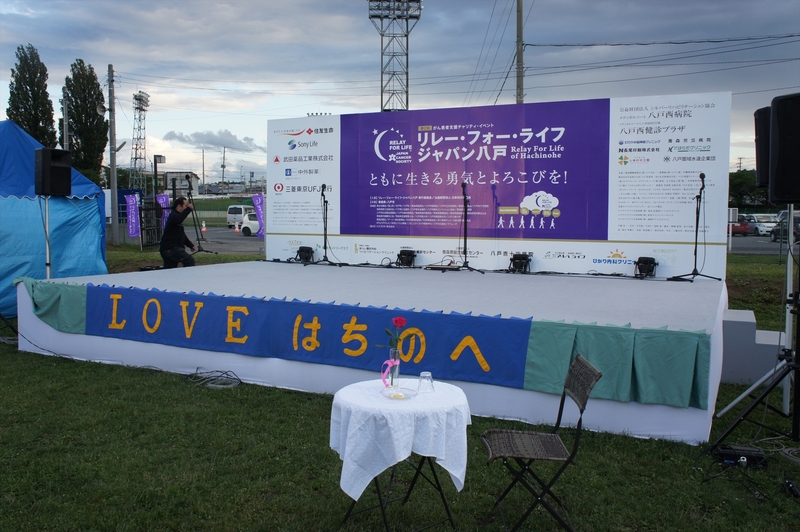 We decided to hold this general meeting in conjunction with Relay for Life Japan 2015 Ibaraki event because NPO Cure Sarcoma will participate in this RFL as a team. The meeting will resume soon after the opening ceremony of RFL at 2 p.m.
We will welcome non-members as an observer. Please feel free to stop by and share information with us. This entry was posted in Activity Plan/Report, News, Topics on 2015/05/03 by .